I love museums, those places where history repeats itself every day whether you are a first-time visitor or a long-time and frequent denier. The Musée des 24 Heures du Mans is located just outside the main entrance to the circuit at Le Mans. If you were driving on the racetrack, it is 900 feet off to your left, as you climb the hill toward the Dunlop Bridge. It is filled with race cars and memorabilia, displaying past glories and renewing faded memories. In past years, the Automobile Club de l’Ouest (ACO), the Le Mans organizer, held its annual press conference in this building before the start of the race. However, the ACO this year moved the location of the Friday presser to a new location, the Welcome Center which overlooks pit exit in the vendor village. I was optimistic this new location would be the first indication of a new direction for Le Mans and the FIA World Endurance Championship. The press conference’s main focus covered the ACO’s plans for the near and immediate future, in particular the 2020 LMP1 hybrid regulations, which the ACO says are aimed to reduce costs. These cost savings would include a single set of bodywork (no high downforce or low downforce options), reducing private testing and wind tunnel time, restricting development areas on new cars to only one area (chassis, engine, or hybrid system) per year, reducing the amount of team staff at the races, limiting the number of gearboxes, and so forth. All of the cost cutting ideas and new regulations mean brand new cars ready to race in three years. The new cars would have a slightly larger cockpit with improved visibility, stiffer monocoque with better protection for a driver’s legs, the retaining of two energy-recover systems limited to 8 megajoules, the introduction of active aerodynamics including moveable front and rear wings, and the introduction of new energies such as hydrogen. The FIA already has a plug-in and play racing series: Formula E. Granted, those plug-in units are batteries that last 30 minutes each, and they power open-wheel race cars at one day events held in major city centers around the world. And Formula E is doing a great job promoting “green racing,” and showing urbanites an easy-on-the-eyes-and-ears sustainable racing series. Formula E, you might even say, is proving to be a global success story. The 24 Hours of Le Mans started last Saturday at 3:00 sharp, and within 30 seconds the tone for the next 24 hours was set. The all-Toyota front row was split by the No.1 Porsche driven by Neel Jani by the time the cars raced under the Dunlop Bridge. The only LMP1 non-hybrid, a ByKolles (a marque with limited marketing power) car, went off-course the first and only time it approached the Tertre Rouge corner, and it kicked-up a piece of bodywork that damaged the front end of the No. 9 Toyota Hybrid. Suddenly the six-car LMP1 field was reduced to five. Thus began a very long (or short) first day of crashes, heartbreak, and disbelief. Four hours later, the No. 2 Porsche was parked in its garage with a hybrid-system electric motor failure. One hour and 19 laps down to the leaders, it rejoined the race. 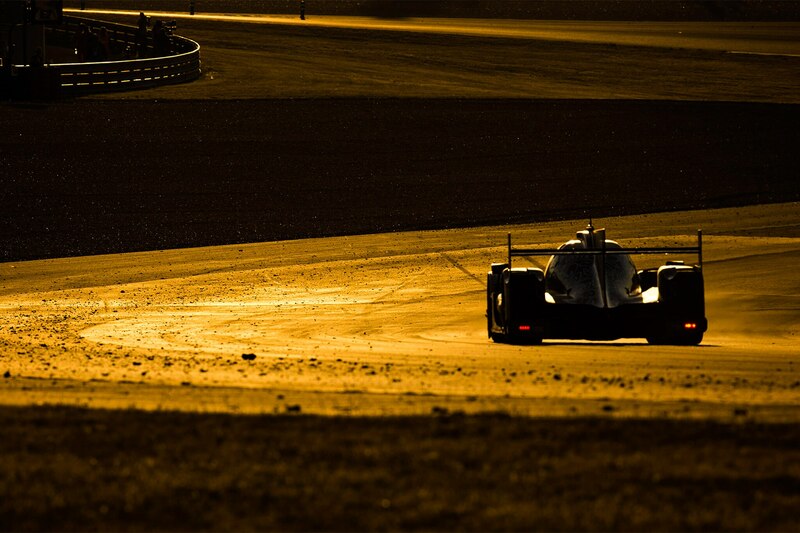 This marked the beginning of every LMP1 Hybrid car having serious issues. In fact, by 1:30 a.m., the Nos. 7 and 9 Toyota hybrids had retired, and the remaining No. 8 car was 30 laps behind the leading Porsche of Nick Tandy, Andre Lotterer, and Jani. And things pretty much remained that way until the No. 1 Porsche stopped on the track with less than three and a half hours remaining in the race. 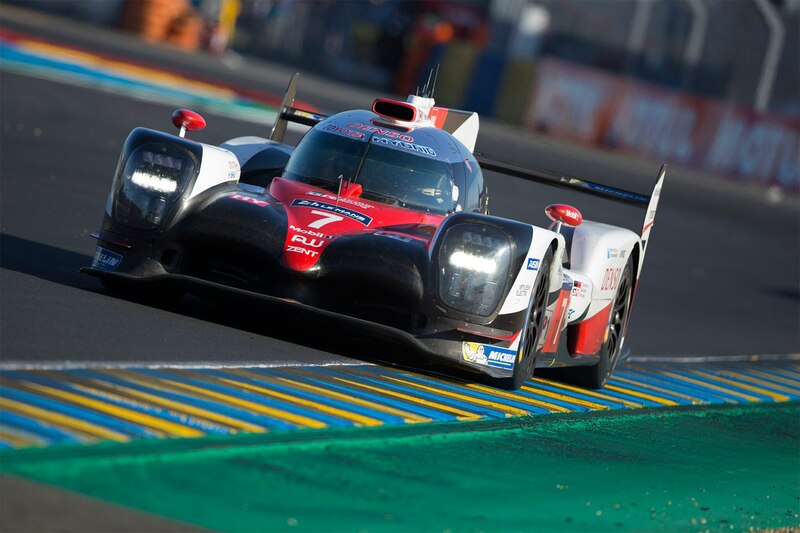 Was the future of hybrid-powered sports-car racing determined on Sunday afternoon as another high budget, factory prototype rolled to a stop along the French countryside? Perhaps. It wasn’t until an hour to go in the race when the winning No. 2 Porsche 919 hybrid, from a program with an annual racing budget estimated to be $150 million, finally caught and passed the No. 38 Oreca-Gibson for the lead. This Jackie Chan DC Racing entry, with a yearly budget perhaps 75-percent less than the LMP1 factory efforts, nearly stole the show, and brought into clear focus the contrast between exceptionally expensive technology, and old-school, much-lower-cost racing. Timo Bernhard drove the last stint in the No. 2 Porsche. 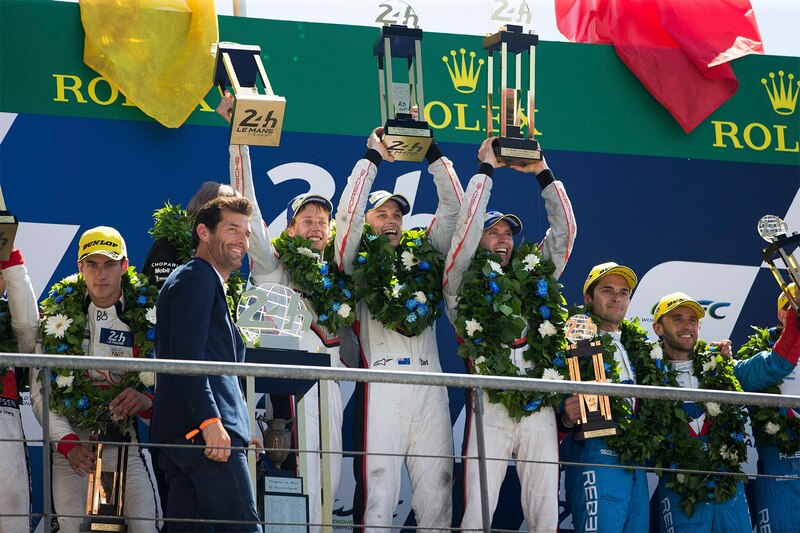 Along with his Kiwi co-drivers Brendon Hartley and Earl Bamber, the three drivers pushed hard for 19 hours, charging through the field and delivering Porsche its 19th overall win at Le Mans. The Chan car, driven by Oliver Jarvis, Ho-Pin Tung, and Thomas Laurent, finished second overall and first in the LMP2 class. LMGTE-Pro honors went to the No. 97 Aston Martin of Darren Turner, Daniel Serra, and Jonathan Adam. Adam had an epic closing lap duel with Jordan Taylor in the No. 63 Corvette. Taylor, with co-drivers Jan Magnussen and Antonio Garcia, finished third. Second went to the No. 67 Ford GT of Pipo Derani, Harry Tincknell, and Andy Priaulx. 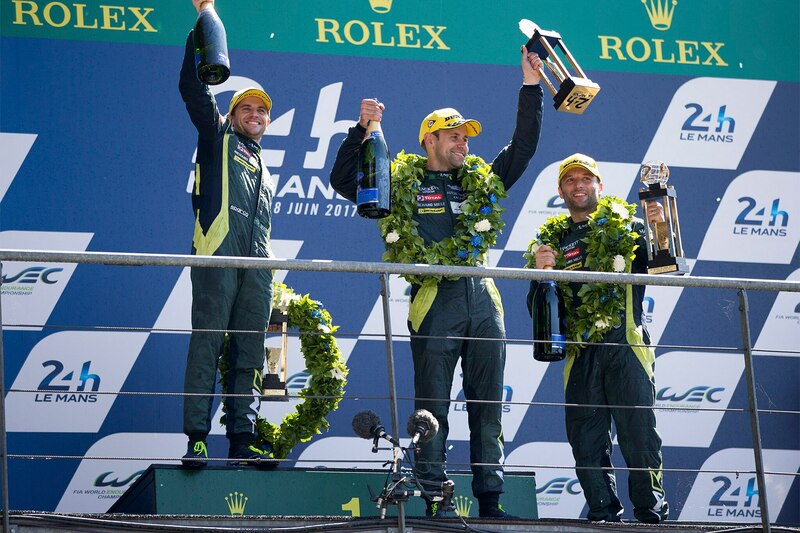 The LMGTE-Am title was claimed by Will Stevens, Robert Smith, and Dries Vanthoor in the No. 84 Ferrari 488 GTE. Meanwhile, the success of the entire LMP2 class, powered by spec engines, and with much smaller budgets, will not go unnoticed by major car companies who have zero association with these teams. Audi left the World Endurance Championship for the much cheaper Formula E option. No manufacturers have yet to fill the Audi void, but several, including Mercedes-Benz, have followed Audi’s lead to the more budget-friendly, greener series. Gibson is a wonderful company, and makes great engines. 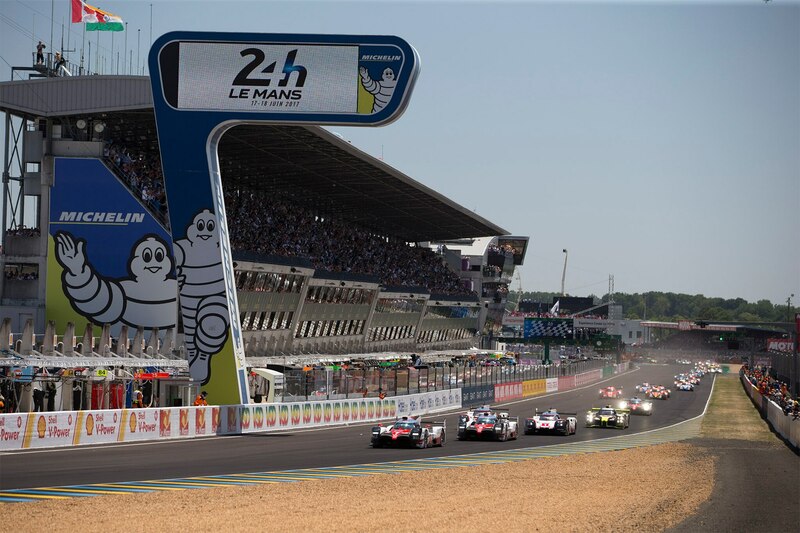 But Gibson won’t buy a full-page advertisement in the “Wall Street Journal,” build a 25,000-square-foot hospitality unit just outside the Ford Chicane at Le Mans, or spend millions of marketing dollars promoting its brand. But Cadillac will, as will Mazda, Honda, and others campaigning the IMSA DPi cars in the U.S., who are not racing in the WEC series. We will see if history repeats itself in a few months, when another press conference will be held at a WEC race to update everyone on the 2020 plans. This past weekend will be examined, both what occurred on the track, and what was said afterward, both publically and privately. The speaker at this future conference will either pivot and be hailed as a visionary, or will pursue the past, and be viewed as nothing but headed for more drama, more trouble, and more questions. Meanwhile, historians will make their entries on Le Mans 2017. Kobayashi’s 3:14.791 record lap-time will be handled in one sentence. 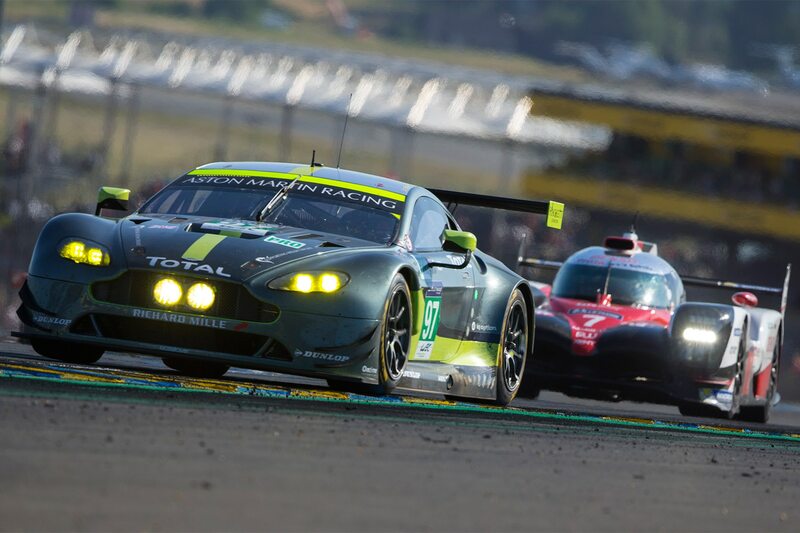 The Aston Martin versus Corvette battle for the LMGTE-Pro win will receive a paragraph. And the overall winning Porsche 919, which spent an hour in the garages for repairs, and 23 hours on the track where it belonged? That car, its crew, and its drivers get an entire chapter devoted to the honor they brought to the German marque. 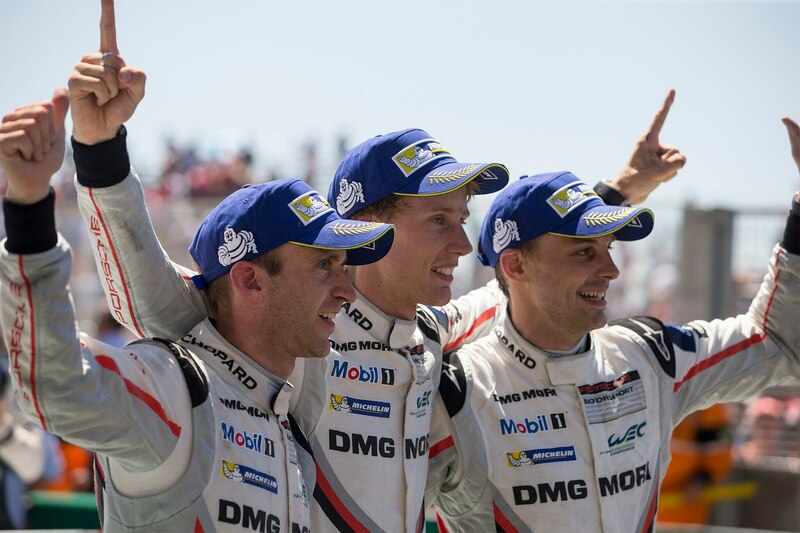 Decades from now, drivers Hartley, Bamber, and Bernhard will reunite in Le Mans or Stuttgart, walk into a museum and see an old friend they drove to glory and into the history books one long ago weekend in France. Something that has been repeated by Porsche drivers 18 times before. The question, as always, is what will the modern cars of the day look like by then?